She was forced out in 2005–her acquisition of Compaq is widely considered to be a critical mistake, though I don’t know enough about this particular industry to comment myself. She is on many “worst CEO of all-time lists”, including CBS, USA Today, and Complex. If you Google “worst tech ceo”, her name comes right up. 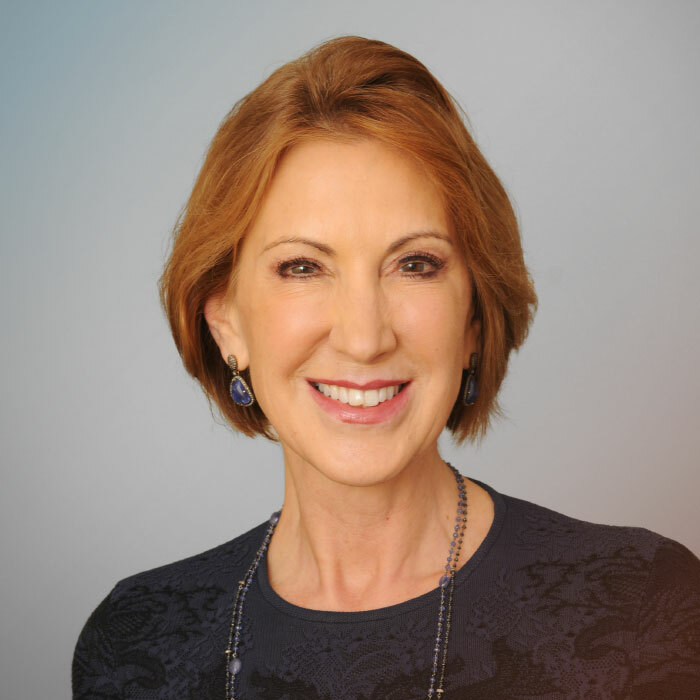 But it doesn’t really matter whether or not Fiorina was a good CEO. Running a business and running a government are two very different things. For one, they have entirely different purposes. A company exists to make a profit for its shareholders. Whenever a company can reduce its costs without reducing its productive capacity or potential for future innovation or growth, this is a great move. CEOs who reduce labor costs are lauded by shareholders. 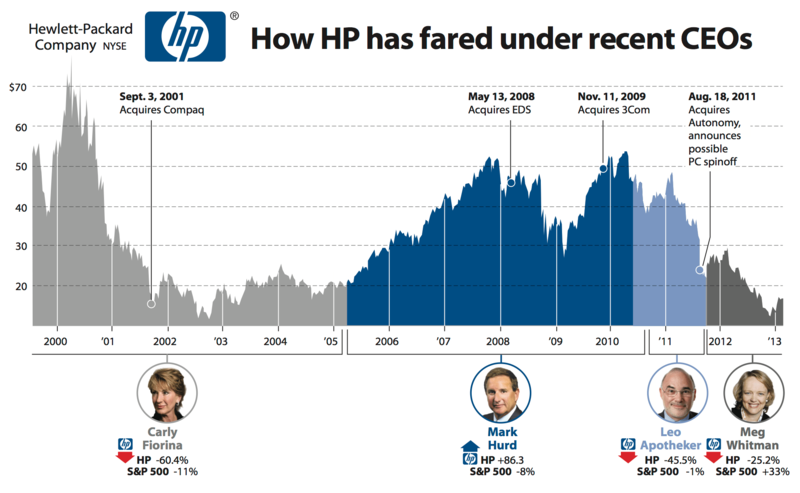 Fiorina reduced HP’s workforce by 30,000, and from a business standpoint this is an achievement–it reduced costs and increased profits for shareholders. Government does not exist for the purpose of making a profit or running a surplus. Government exists to promote the public good. It exists to create conditions under which people can flourish, both individually and collectively. This requires the government to provide a variety of services that are necessary but are too expensive, too risky, or too difficult for the private sector to handle. The military is the obvious example, but infrastructure, the space program, and cancer research are all places where government money can make a big difference. These are important things that we all need, but they are very expensive, often have high failure rates, and require that one be ready and willing to take massive losses for many years before any results are seen. The public good sometimes requires the government to intervene in the economy to prevent market failures from resulting in serious public harm. By intervening in healthcare and education, government can stop costs in these high demand markets from spiraling upward, improving their efficiency. Because of the scale of government resources, the state is able to intervene in economic crises to prevent entire sectors from failing (e.g. the bank bailouts or the US auto bailout) and to prop up the economy and supply jobs when private sector industries are engaging in mass layoffs or wage cuts in an attempt to improve their productivity. Government is also able to set rules governing the behavior of all, to prevent perverse incentives from producing long-term negative consequences for everyone (e.g. the tragedy of the commons). Government also exists to promote justice. This means that government is tasked with providing equal opportunities for people from different socioeconomic backgrounds, which requires government to ensure the poor have equal access to education. It also means that the government must prevent abuse and exploitation of some citizens by others, and this means creating laws stipulating what is exploitative and what isn’t, as well as enforcing those laws through an effective and well-regulated police force and criminal justice system. Government also has many tools available to it that business does not have. When a business needs money, it cannot compel customers to give it money–it cannot collect taxes. Businesses also cannot print their own money, or change the value of money so as to render their debts more manageable. They also cannot lose money in absolute terms while shrinking the size of their debt in relative terms by growing the economy faster than their debt. Businesses don’t have to worry about justice or the health of the economy or long-term large-scale projects. They just need to make a profit for their shareholders, and they do this on a quarter to quarter, year to year basis. They respond to and operate within the economic environment, they are not responsible for creating and maintaining it. The skills required to succeed within our economic paradigm are very different from the skills required to determine what that paradigm should look like. Political candidates with business backgrounds often propose to come into government with the same sort of agenda they have when they assume the helm at a new company–eliminate waste, drive down costs, and use this to deliver a profit to shareholders (in the context of government, this means creating a budget surplus or lowering taxes). This is not exclusively a bad thing. If government is made more efficient, more resources can be made available for other projects, and sometimes tax cuts can help with justice or with promoting economic growth, if they target the right people. The problem is that people with business backgrounds have no basis upon which to decide which government programs are important and which are wasteful. They have no basis for determining who should receive a tax cut and who should not. They know how to cut spending, but they do not necessarily know how to distinguish good spending from bad spending, justice from injustice, and so on down the line. There’s also a good chance that politicians with business backgrounds will identify with the particular industry or economic class that they come from and give that industry or class special treatment. When the government serves business interests rather than the public as a whole, it is unlikely to strike the appropriate balance between the interests of businesses and workers, investors and consumers, spenders and savers, or rich and poor. So whenever I see a candidate with a business background, I immediately become deeply concerned, because there is a significant chance that the candidate harbors a reductive view of government where the goal is to indiscriminately reduce possibly important spending for the purpose of cutting taxes and favoring business interests at the expense of the careful balance required to promote and maintain the public good. She supports a balanced budget amendment, which would seriously constrain the government’s ability to make large investments in expensive long-term projects and inhibit its ability to respond proactively to severe economic crises. She’s against Obamacare and wants to replace it with further private sector competition, which will only further exacerbate the US’ healthcare costs problem. She’s against net neutrality, which protects consumers from being expropriated by internet service providers. She’s against minimum wage increases, which are needed to make consumers less dependent on credit and stabilize the US domestic market. She opposed the stimulus package, which brought the US out of recession. She indiscriminately opposes tax increases, regardless of what they are for or how they are done. She’s against gay marriage and defended the controversial Indiana RFRA law (though, unlike most republicans, she would give LGBT couples many of the same legal benefits). She overestimates the threats posed by Russia and Iran. She wants to overturn Roe v. Wade, allowing states to re-criminalize abortion. She supports the DREAM Act, though she’s against comprehensive immigration reform, which is odd, because immigration is good for the budget. She acknowledges that global warming is real and human-caused, but she opposes government action to deal with the problem. Carly Fiorina’s views mirror those of the other GOP candidates with only a couple partial exceptions. She is the least bad republican to declare so far, but only just barely, and this isn’t saying much. There’s too much evidence that she doesn’t understand the difference between running the state and running a business. She should not be president. Thanks for your efforts. Although they fell on many deaf ears, it was appreciated by many that you took the time to explain the shocking economic ineptitude of the Tories. I was responsible for a good few of the shares via my Facebook page. I hope you have the time to take a look. If you want to get in touch feel free to use the email I used to register this comment to contact me (you should be able to see it if your blog comments work in the same way as mine). Damn, somehow I posted that on the wrong thread, it was supposed to go on the one about your new Facebook page. I saw your message on Facebook and sent you an e-mail. Thanks so much for helping to spread the post.